We offer a variety of plans designed to help individuals and teams accelerate their development process. Whether you are just getting started with a Live Testing plan or have a small team that automates tests daily, we have plans to fit your needs. 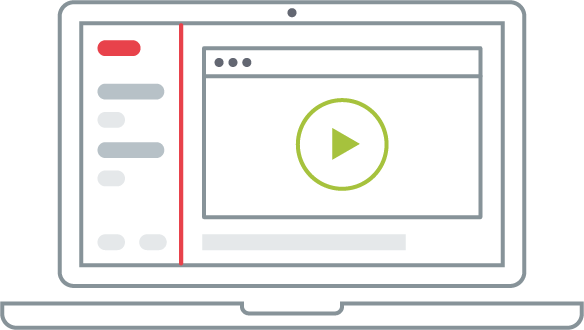 Every plan includes access to all of our core features and analysis tools to help you automate your tests, integrate with a CI server, and analyze results without the hassle of managing your own infrastructure. 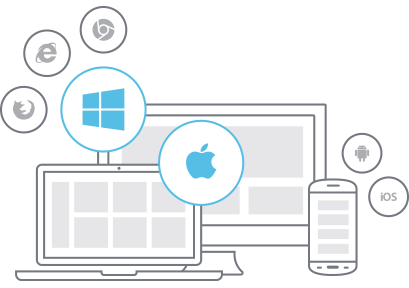 Ensure quailty by testing your app across our wide range of operating systems, browsers, mobile emulators and simulators, and real devices. See standard plans and real devices plans. 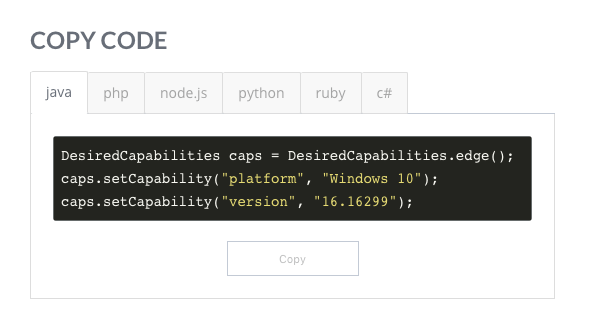 Deliver apps faster, improve quality and reduce costs by testing on our cloud. 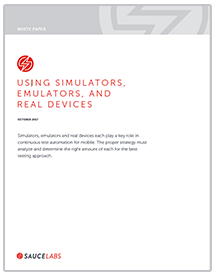 Automate testing of our web, native mobile and hybrid web apps across all the operating systems, platforms, devices, emulators and simulators you need. Real device plans sold separately. 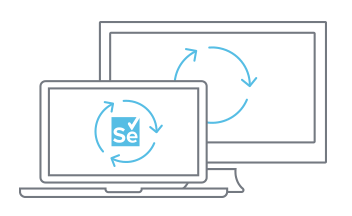 The Sauce automated testing cloud is optimized so you can test web and mobile apps in parallel and accelerate your tests by up to 10x. 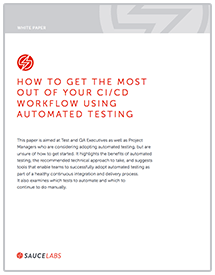 Achieve Continuous Integration with better insights into each software build and test process using our plug-ins for the most popular CI systems including Jenkins, Travis CI, Atlassian Bamboo and others. We follow strict security practices and have a team of security experts who will work with you to meet your needs. 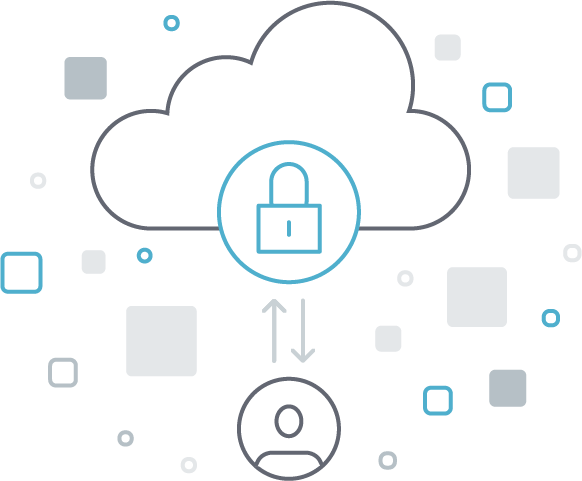 And, we use only single-use VMs and thoroughly cleaned real devices so your data is never left behind for someone else to see and their data won't interfere with your tests. 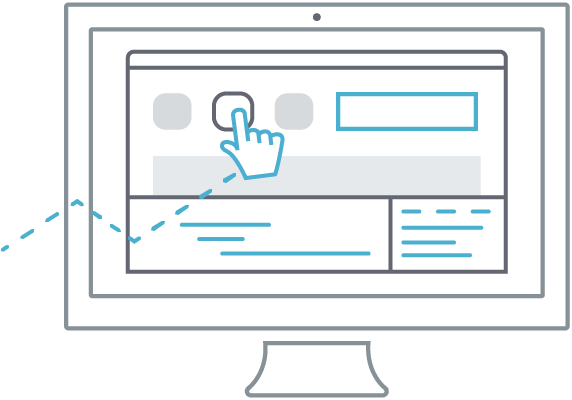 Looking for Test Analytics, Team Management, Single Sign-On, or Unlimited Users? Check out our Enterprise solution or contact our Sales team. You can access a live remote desktop session while running tests. And you can manually take control of the VM (to clear a pop-up that's blocking your test, for example) or "breakpoint" the test to stop automation and diagnose issues. 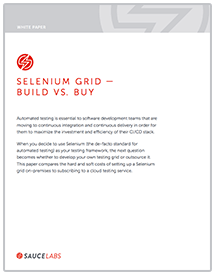 Compare the costs of setting up an on-premise Selenium grid versus using a cloud-based testing platform. 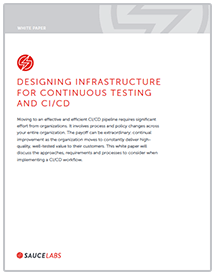 Learn about the approaches, requirements and processes to consider when implementing a CI/CD workflow.